Les Dames d'Escoffier - MFK Fisher's "The Theoretical Foot"
MFK Fisher's "The Theoretical Foot"
This invitation-only event is limited to 100 attendees. SF Dames, in addition to submitting your RSVP as above, please reply to let us know that you've rsvp'd so we have an idea as well, thanks. 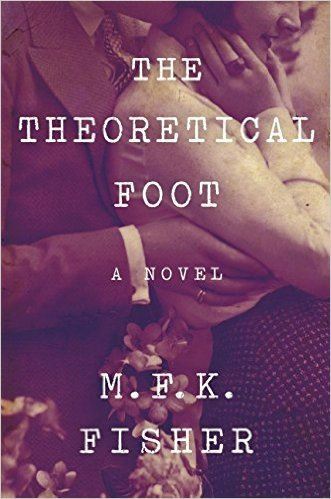 Written about a 24-hour period in Fisher's life during the Summer of 1938, The Theoretical Foot concerns an expat couple welcoming guests to their home in Europe before the war changes life there completely. As fascism spreads, the idyll of a beautiful life of love and freedom from convention is threatened from within when one in the group becomes gravely ill with a rare circulatory disease. The release of the novel is a major literary event from one of the most influential prose stylists of the 20th century. This celebratory reception will take place at Gilman Hall on ACR’s Bouverie Preserve in Glen Ellen, where the author lived the last two decades of her life. M.F.K. Fisher’s "Last House" is not open to the public. The book will be available for purchase at the event / $25 hardcopy.